J. Jane Consulting | lt. jan ingram. 06 Jan lt. jan ingram. Just a Cali Girl Livin’ in the Southeast Asia World | U.S. Naval Officer. Friend. Believer. Fighter. Leader. Dreamer. 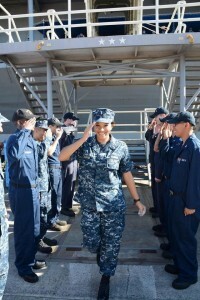 Navy Lieutenant. Sailor. If I had the time and female power, I would highlight every woman who has served in the United States military. Their unwavering commitment to our way of life is simply unparalleled. From the Revolutionary War until present day, generations of American women have protected and served this great country. Their valiant hearts and courageous dispositions highlight the American Spirit that we have always held in high esteem. Allow me to introduce you to Lieutenant Jan Ingram, one of the many female leaders in the U.S. Navy. When I was younger, I always felt an innate desire to serve. I knew the liberty and freedom I experienced in America came at a cost—a cost of people’s lives, sanity and health—and I wanted to give back somehow, some way. It was an itch I couldn’t scratch for a long time and it wasn’t until college when I would realize how I could play my part. As a mathematics major, I initially planned on pursuing a career in finance. During internships, I was able to get experience in the vast field but always felt like life was pulling me in a different direction. A close friend who planned on joining the Navy lent me a book titled, “Lone Survivor,” and then answered the endless questions I asked him about the military after reading the book. I finally made the decision to join the military, though my family was not thrilled about the idea at all! I initially planned on joining the Air Force but was swayed to the Navy by my friend and the lure of doing something so foreign to me—being on warships out at sea. I am forever grateful for his advice and knew that the Navy would be a great fit for me. Nearly four years later, I have never looked back. As a Surface Warfare Officer (SWO), I have been afforded limitless opportunities, especially when it comes to travel. I first started my career on a ship forward deployed to Japan and experienced firsthand the Navy’s “Rebalance to the Asia-Pacific.” Working in the region has been demanding, but equally rewarding. Even with the high work tempo, I always found a special peace being out to sea, having a 360-degree view of the Pacific Ocean for miles on end. It is an indescribable sense of awe being on the ocean—there is simply nothing else like it! It’s different every day! When I was in Japan, I served in my ship’s engineering department and simultaneously worked towards my Surface Warfare Officer qualification. I know that must sound foreign, but it essentially meant that I spent hours every day on the ship’s bridge and in the combat information center learning how to operate the ship in various situations. When I wasn’t standing watch, I was leading 25 sailors, working with them to ensure the engineering plant was in safe and ready condition. Ship-life afforded me the opportunity to travel throughout the region to ports in Timor-Leste, New Caledonia, Australia, Vietnam, Cambodia, Philippines, Indonesia, Thailand, Hong Kong, Malaysia, Korea, and three of Japan’s main islands. After my two and a half year tour in Japan, I reported to a newly-created command in Singapore in Dec. 2013, which is where I currently work and live. Now, rather than being assigned to a ship, I’m assigned to a command, which plans exercises and engagements for many ships with partner navies throughout South and Southeast Asia as part of the Cooperation Afloat Readiness and Training (CARAT) exercise series. It’s a job that allows me to work hand-in-hand and build lasting friendships with members of the armed services in many different nations. The moment the scale of the responsibility I’ve been given really hit me was during our exercise with Singapore in late July. I was tapped as the lead planner for this year’s exercise with the Republic of Singapore Navy, which was the biggest and most advanced exercise we have ever done in the CARAT series’ 20-year history. The exercise involved a five day at-sea engagement with six naval ships, two submarines, three helicopters, a patrol aircraft and fighter jets. To add in even more complexity, the Secretary of the Navy, the Honorable Ray Mabus, and Vice Adm. Robert Thomas, commander, 7th Fleet, paid visits to observe portions of the exercise. Needless to say, it was a hectic two weeks, but I was honored to be given this responsibility and am proud to say that the exercise was a success! I think that exercise is just one example of everyday life in the Navy for me. Though different and challenging in their own ways, the two jobs I have had have provided me enormous perspective and growth, both personal and professional. At a young age, I have been entrusted with a lot of responsibility, without a ton of prior experience, all while still trying to figure out the woman I want to be. When I look back at the past few years of my life now, I’m amazed at how much I’ve grown and how my experiences in the Navy have shaped who I am today. It hasn’t always been easy, but I am proud of the woman I have grown to be and wouldn’t have changed a thing. How often are you away from home – and how do you stay connected with your loved ones? Living overseas has forced me to get out of my “comfort zone,” which is important to me, but it has also given my loved ones the opportunity to travel and visit me in places they never thought they would see! Together we’ve met amazing people, experienced new cultures and ways of life, and shared moments we never would have had if I stayed near home. These are the memories I will cherish for the rest of my life. Technology helps keep me close to loved ones when I’m missing home – I’m not sure what I’d do without Skype, FaceTime, WhatsApp, email and snail mail! But it’s not always easy to be away, even with instant connection, so when times are tough I aim to stay in good cheer and keep my situation in perspective. I think of my fellow service members away from family throughout the world, some in combat zones, and know that my situation could always be worse. Keep praying. Guard your quiet time. Practice moderation. As we plan ahead, the uncertainty of tomorrow remains—seek out the peace that surpasses all understanding. Learn and love YOU—you’re worth it. Be confident; take “I can’t” and “I won’t” out of your vocabulary. And smile often—it’s contagious and releases happy hormones! A special thank you to Lauryn Dempsey and Fred Kacher for arranging this interview. I am grateful for your time and appreciate the opportunity to highlight one of the many heroines in the United States Military. so very inspirational! Thank you for your service Lt. Jan Ingram! I so enjoy your interviews JJ. Keep them coming!! So many great women we can learn from and be inspired by!